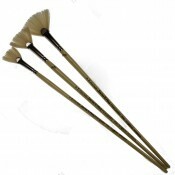 Angelo Varnish Hog Brush 2 1/2"
Angelo Varnish Hog Brush Hog hair 2 1/2" size. 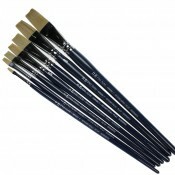 Angelo large area brushes are made with 100% bristle, 5 mm thick and a number of different widths from 1 inch up to 3 inches. 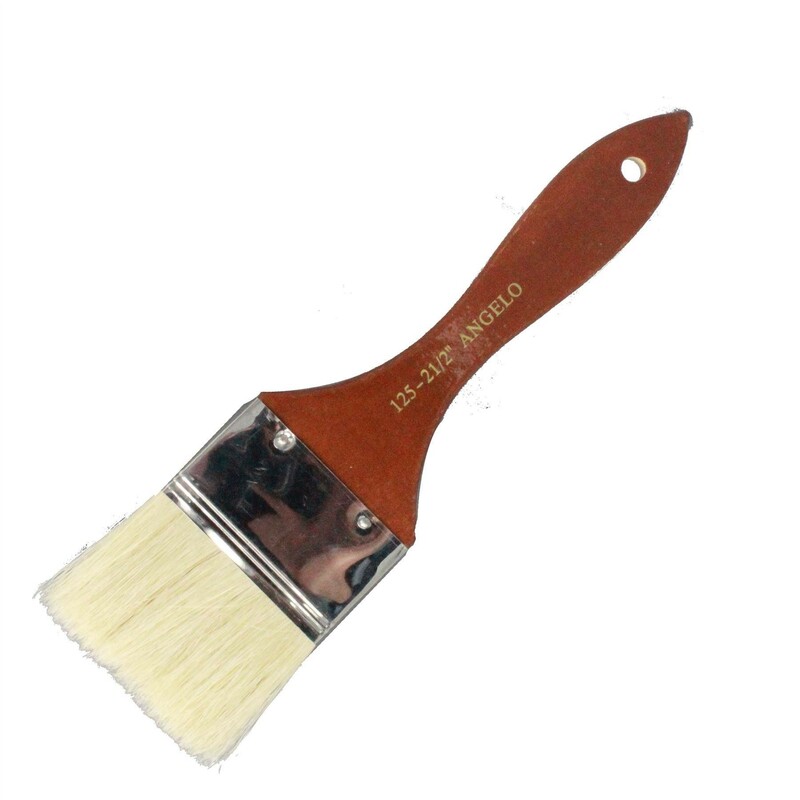 Exceptionally high quality brush ideal for use with acrylics oil paints. Their hair is reason is stiff has a good spring and it. 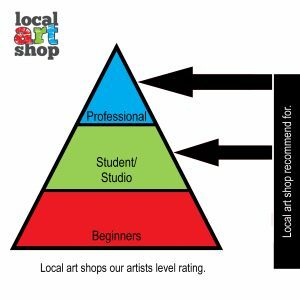 Made to a good standard recommended for students and professionals.